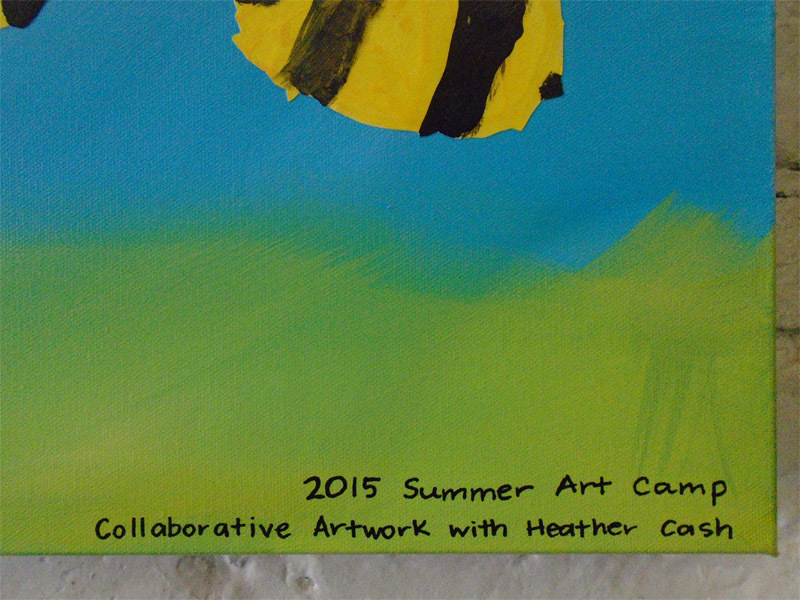 In the Summer of 2015, I taught a painting class for the Children’s Museum’s Summer Art Camp. 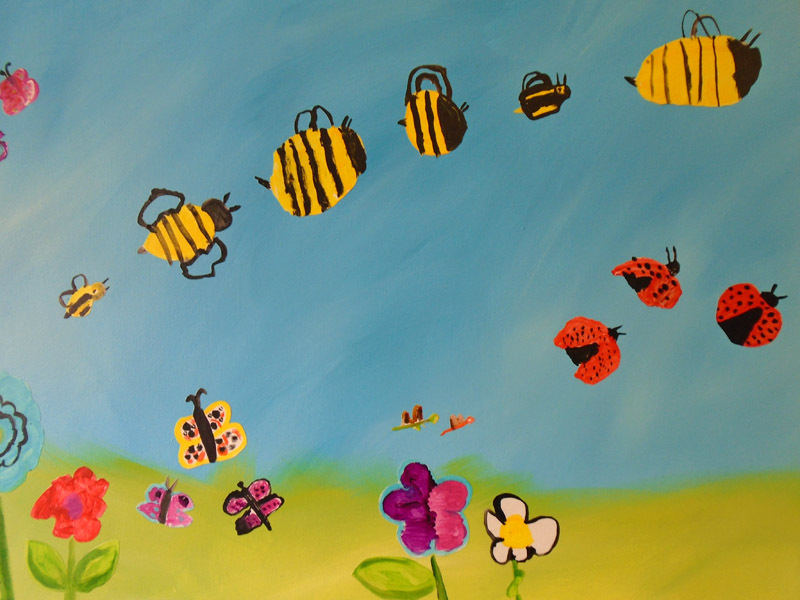 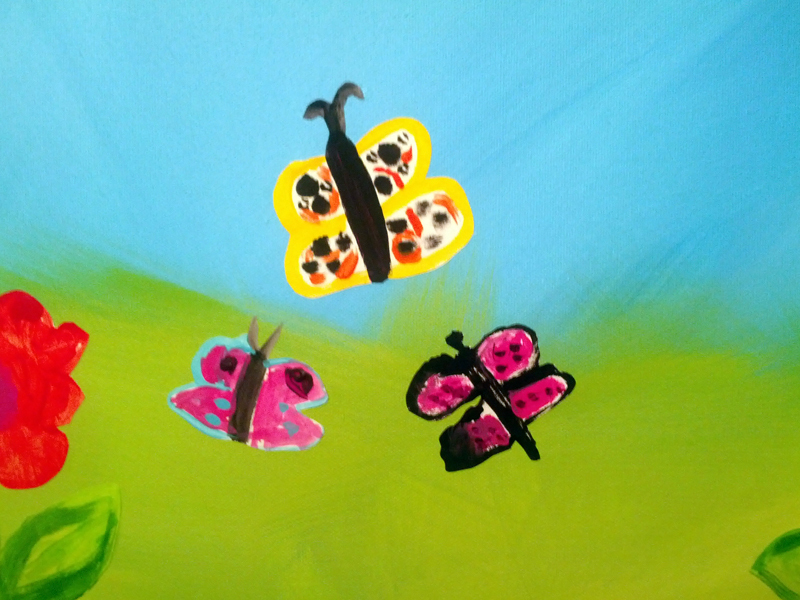 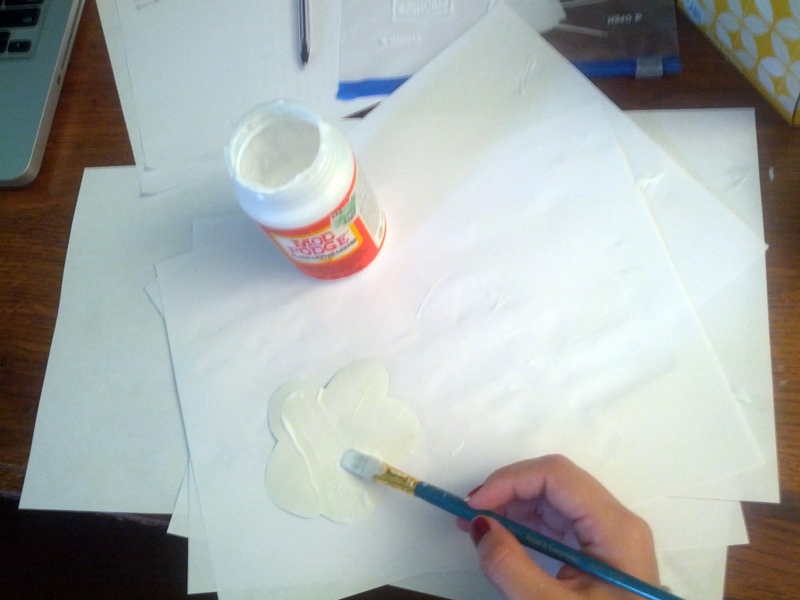 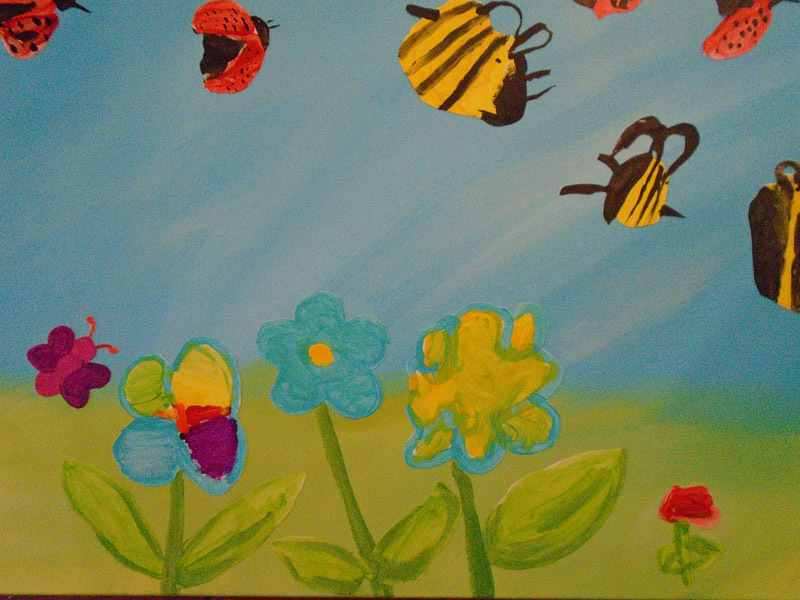 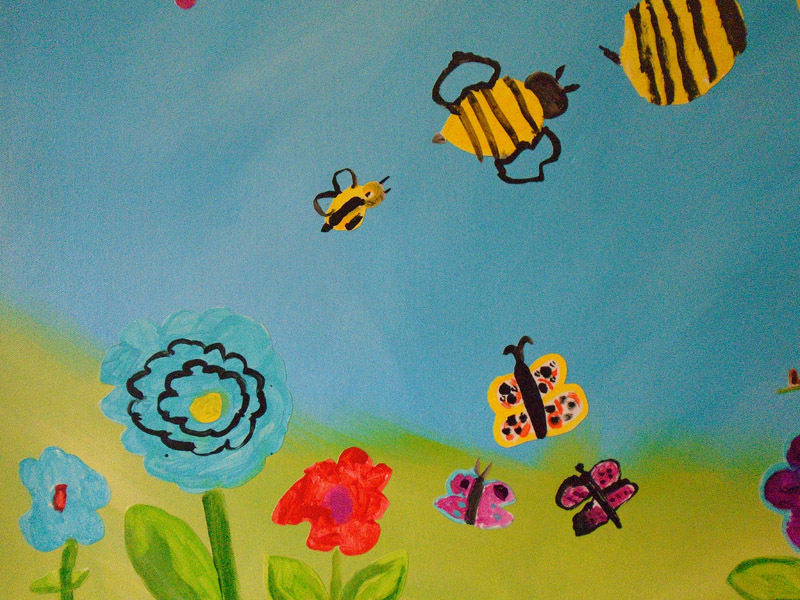 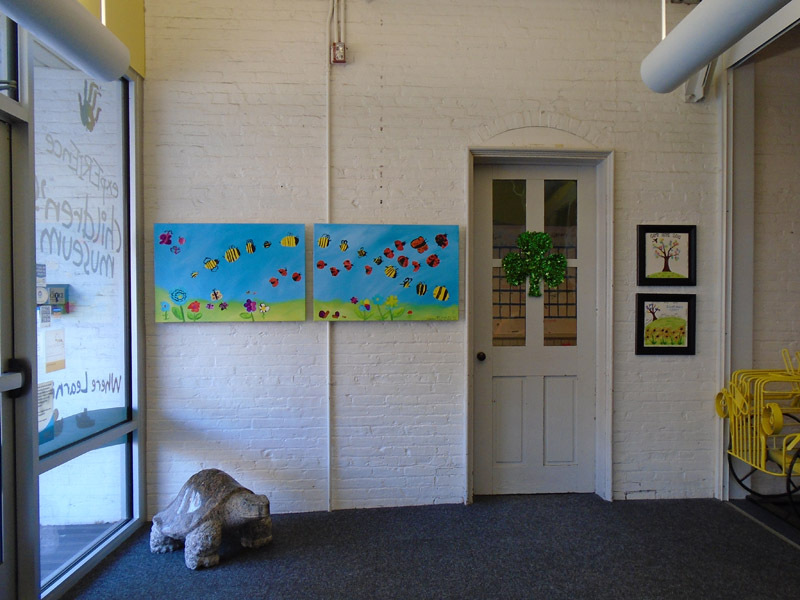 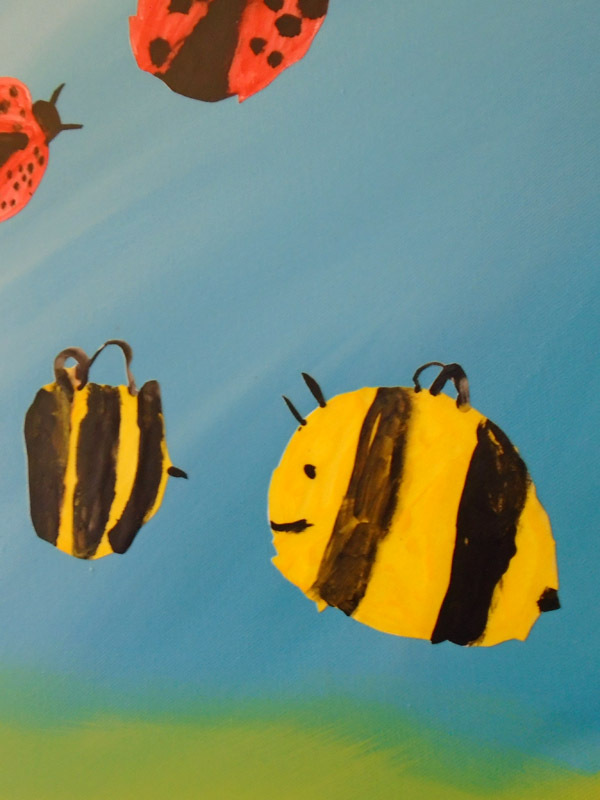 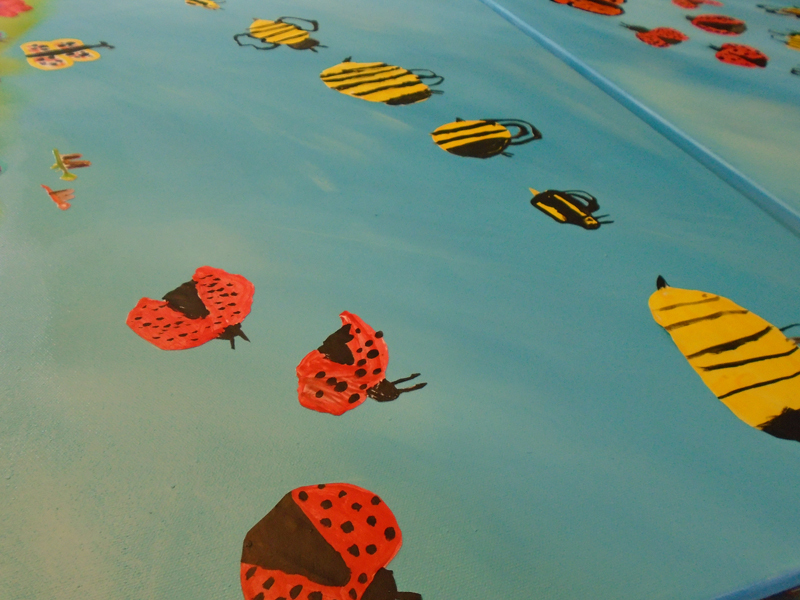 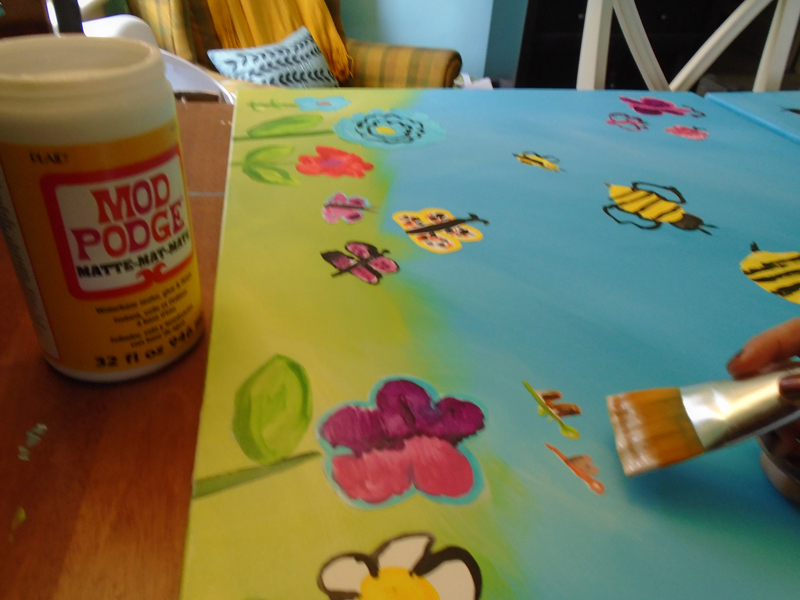 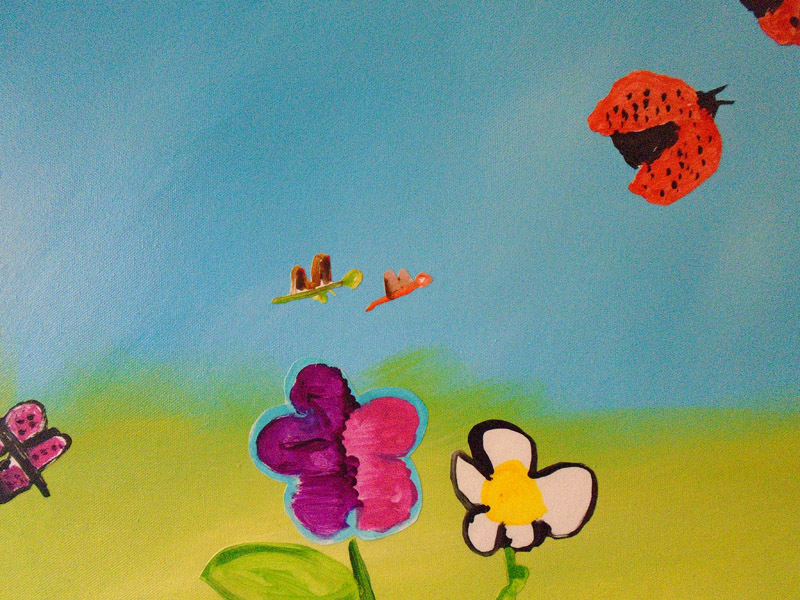 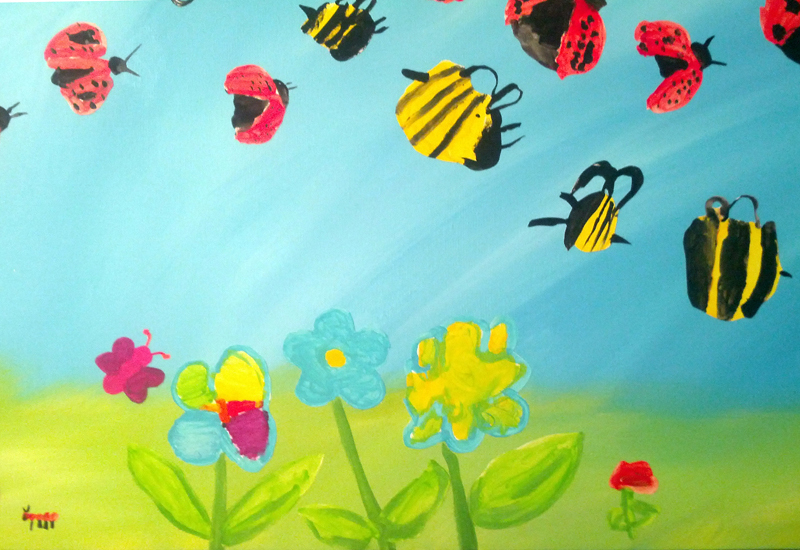 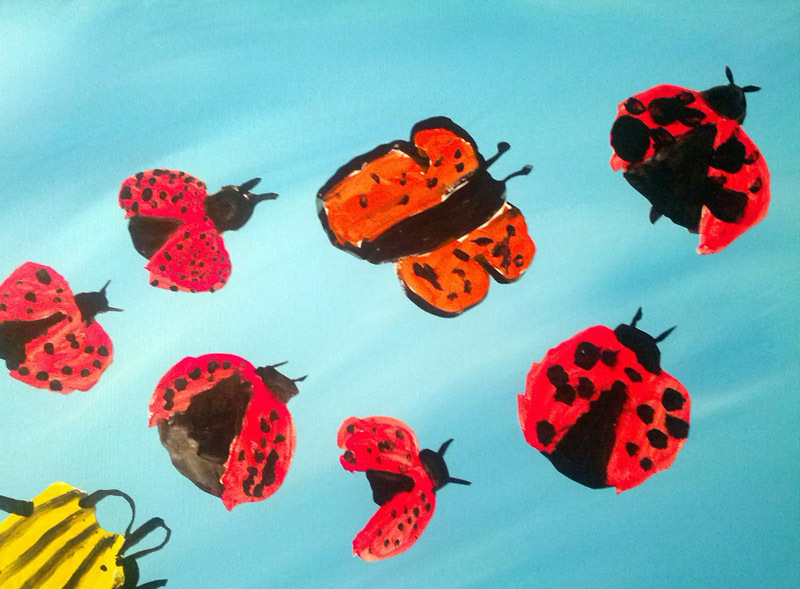 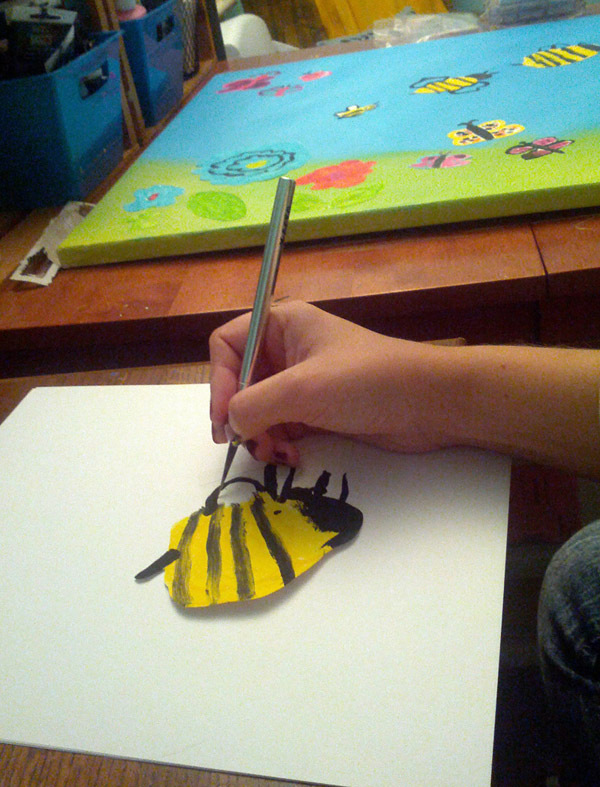 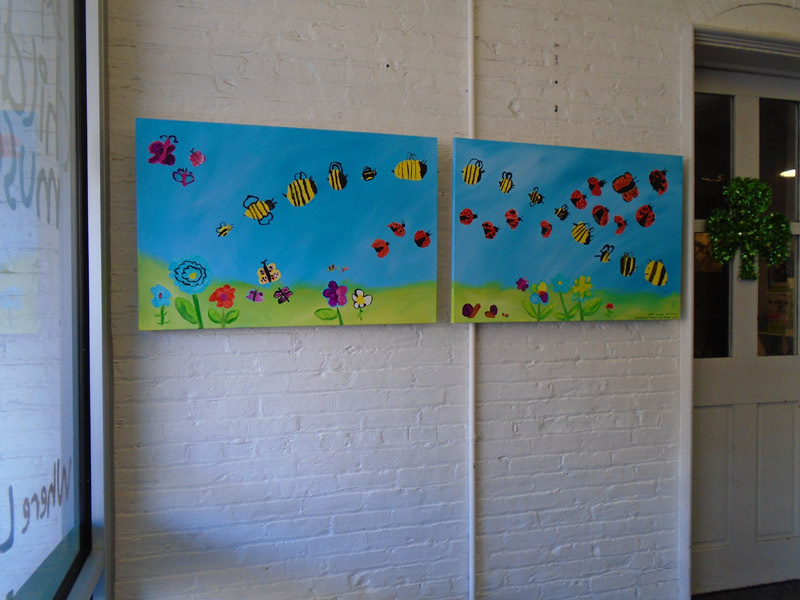 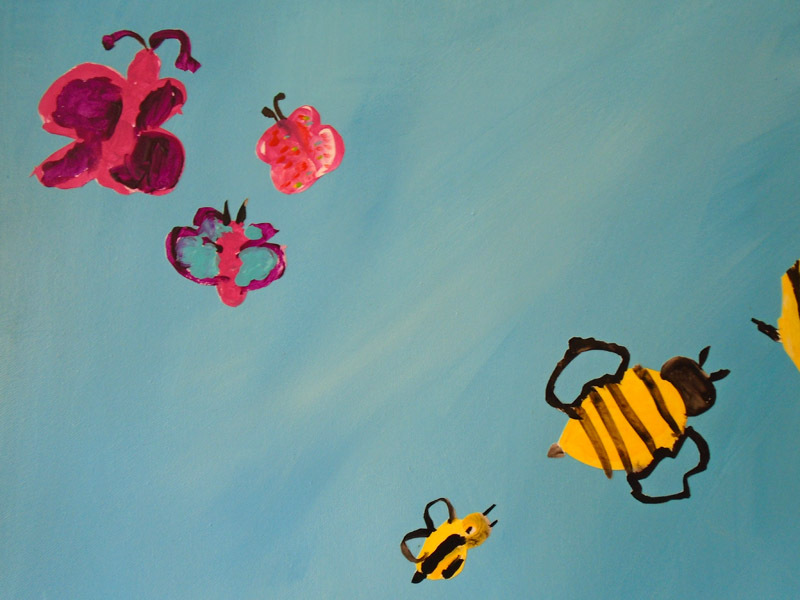 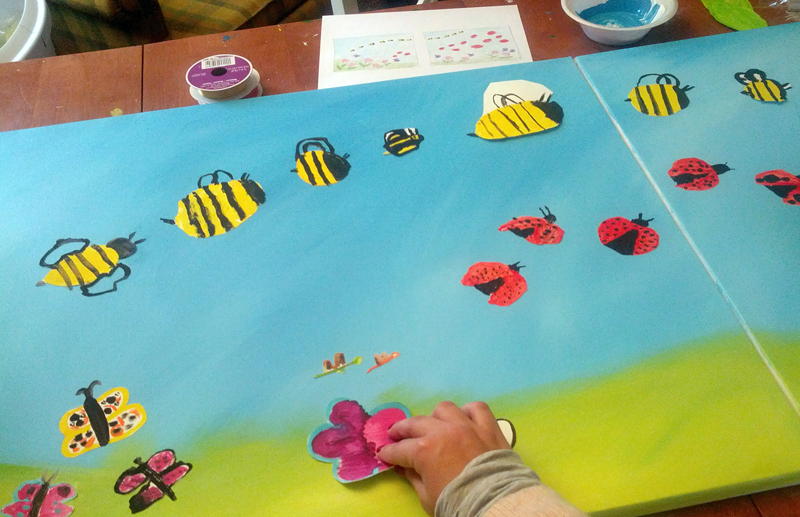 In addition to creating their own acrylic paintings on canvas, I had the kids paint insects and flowers on thick paper. 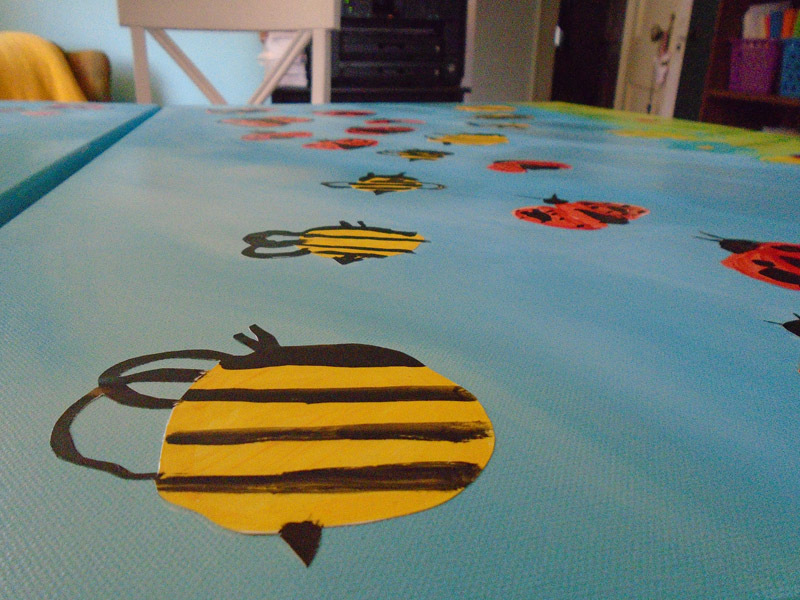 I brought the papers home, and cut each critter out with an x-acto knife. 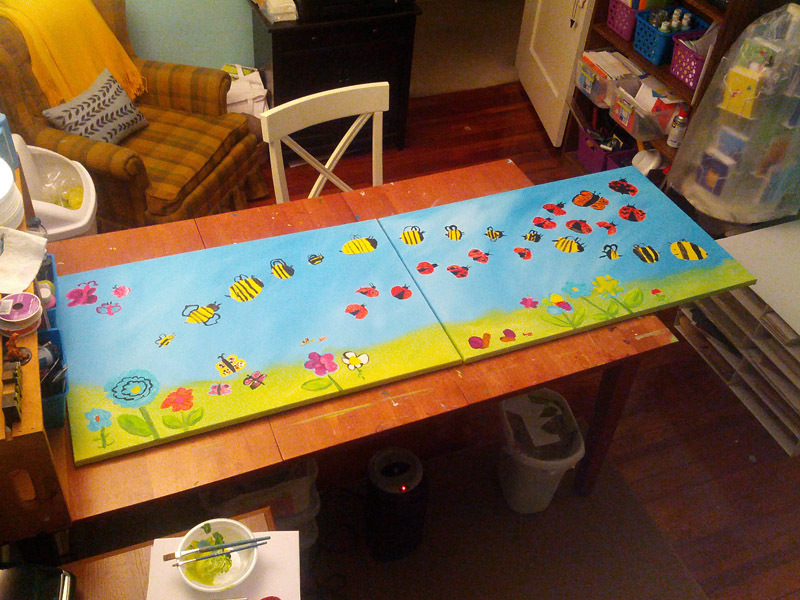 I created two canvases for backgrounds, and then Mod Podged the critters on top. 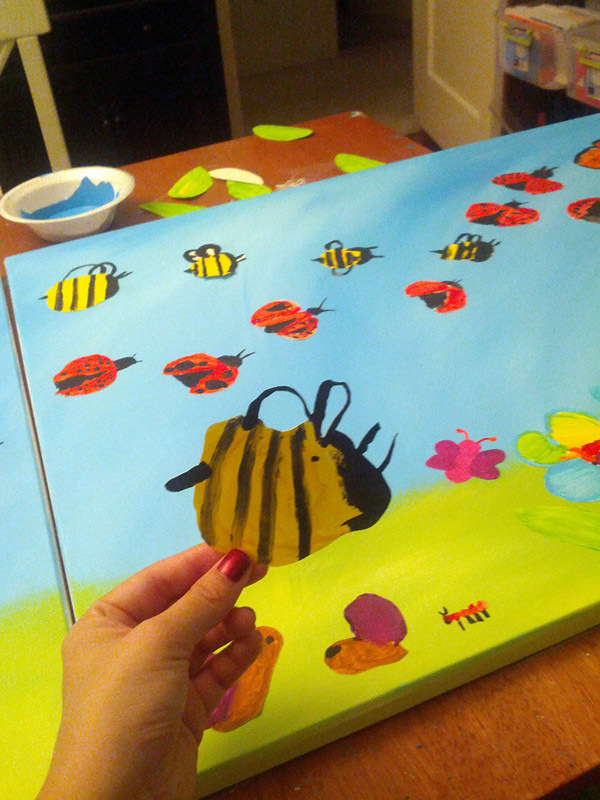 I absolutely love the way it turned out! 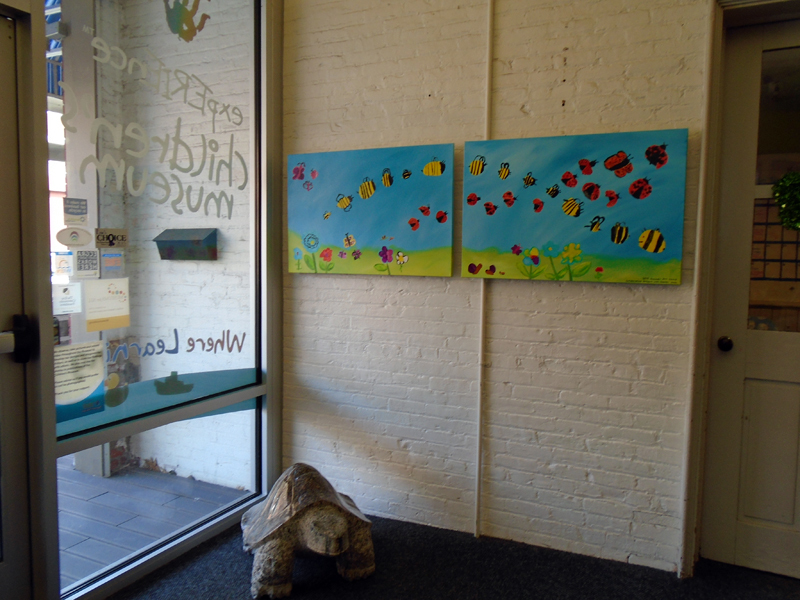 I added heavy-duty wire hangers on the back of each canvas, so that the folks at the Children’s Museum could hang them up in the museum entrance.